Of krijg het voor 24800 Kobo Super Points! 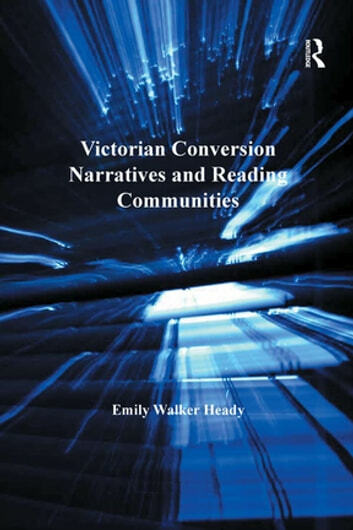 Because Victorian authors rarely discuss conversion experiences separately from the modes in which they are narrated, Emily Walker Heady argues that the conversion narrative became, in effect, a form of literary criticism. Literary conventions, in turn, served the reciprocal function as a means of discussing the nature of what Heady calls the 'heart-change.' Heady reads canonical authors such as John Henry Newman, Charles Dickens, Charlotte BrontÃ«, George Eliot, and Oscar Wilde through a dual lens of literary history and post-liberal theology. As Heady shows, these authors question the ability of realism to contain the emotionally freighted and often jarring plot lines that characterize conversion. In so doing, they explore the limits of narrative form while also shedding light on the ways in which conversion narratives address and often disrupt the reading communities in which they occur.